Welcome to Sampzon, a commune making part of the territory of the Department of Ardèche, Rhône-Alpes Auvergne region and Vivarais region down. It is a tourist city enveloped by a loop of the Ardèche. A rock dominates the village. Since couse particular massif, we can have an unobstructed view of the hamlet and all the surroundings that make up the whole of the southern Ardèche and neighbouring departments. The northern ring of this municipality is bounded by the Ardèche. South, its horizon is traced by the line of the crests of the Costes of Moure Frey. On the West there are the sides of the greenhouse of Pinet and Northwest, we find the Chassezac. Sampzon rock as already said is a symbolic element that dominates the town. Its height is 381 meters. He has a singular figure in tilt table and it represents a particular cue point. On its side about 300 meters of altitude, there is the old village of Ardèche. On its North, it forces the River to make a loop to the East. It should be noted however that the rock of Sampzon is not the point the highest of the commune. 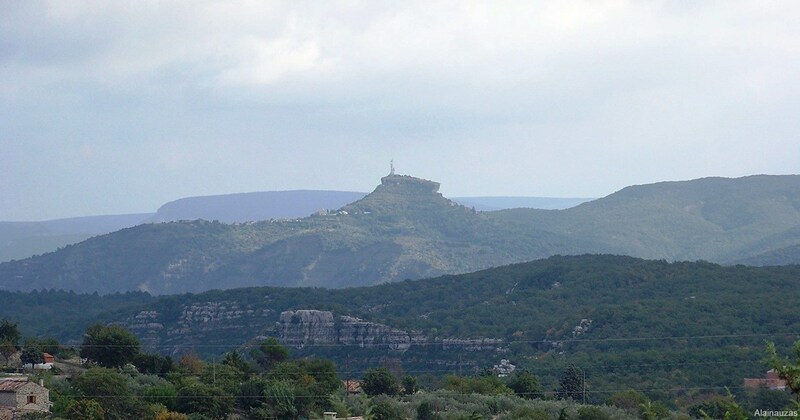 Its highest point is the crest of the Costes. It is located at the southern tip of the commune, where join Grospierres towns southwest of Salavas Southeast. 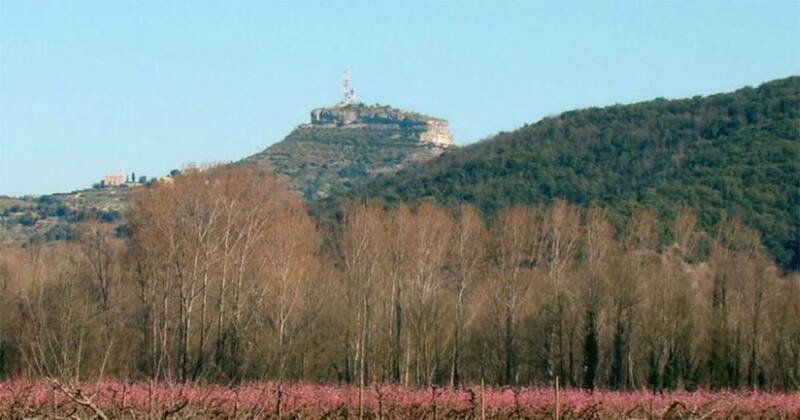 At the bottom of the rock, there is a large wooded area covering half of the territory of the commune of Sampzon. There are also fields in the valleys. 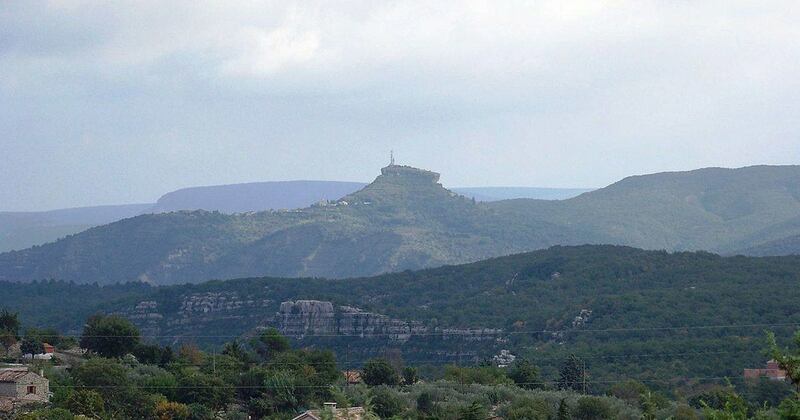 The rocky peak of Sampzon is a hiking itinerary not to be missed. There are various hiking trails that join on its Summit. It is possible to reach the village of Sampzon by car. But if one is a true follower of the hikes, we can start walking from the foot of the rock. This allows not to lose any crumb of this discovery. There is a point of departure in the vicinity of the D111 just next to the campsite of the Bastide. You have to cross the road to find the tag "Vallier" on which you can see the direction "La Bastide". From there, we can start to admire each element of the hike. It begins with the castle of Sampzon. From there on, there is no follow tags. The trail passes by various interesting corners and others are less. Through the needle of Sampzon before reaching the branch line 'Bertras '. After several kilometers in the market, it also happens at the junction "The Agrenasses", and then at the junction "Pérerol". A little further, we can rely on a picnic area and enjoy the view already. Then you can hit the road following the signs and tags to finally get to the top of the rock of Sampzon. In total, the distance between the starting point and the end point is 7 km. The rock of Sampzon is located 15 minutes from the campsite Aluna holiday in Ruoms.